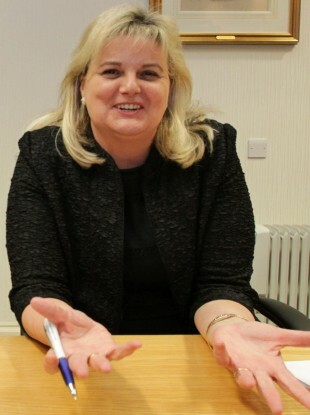 TWELVE SENIOR EXECUTIVES, including CEO Angela Kerins, at Rehab Group earn over €100,000, according to figures released by the organisation this evening. It follows the group appearing before the Public Accounts Committee (PAC) last week, where Kerins confirmed the group’s intention to release salaries at committee’s request, although the methodology had not been finalised. Kerins has stated that she earns €240,000. In a statement, Rehab has released the figures using SORP accounting standards, which they say is “recommended best practice”, and in the United Kingdom requires the publication of all salaries above €65,000. 77 out of a total of 2,470 Rehab Group staff in Ireland are paid above €65,000. Chairman of PAC John McGuinness told TheJournal.ie this evening that the figures are “significant”, but need to be examined in greater detail. PAC had given Rehab Group until Thursday to release these figures, and the committee is expected to receive them in full tomorrow morning. “They are significant added to the fact that some have company cars and some have received bonuses,” Deputy McGuinness said this evening. He added that the information released this evening is just part of the information required. “We will now await for the further information to discuss at the Committee,” he said. Rehab said this evening that “all members of the executive team in 2010 and 2011″ waived performance related payments, as well as 2013. Between €6,000 and €14,200 was awarded in 2012, however the Chief Executive, Director of Finance and Director of Human Resources all waived their payments in this year. “The Rehab Group executive management team of eight members plus the Chief Executive is collectively responsible for the national and international operations of the Rehab Group,” the statement read, including “service delivery and commercial activity”. Email “Rehab Group reveals top executive salaries… and twelve earn over €100k”. Feedback on “Rehab Group reveals top executive salaries… and twelve earn over €100k”.